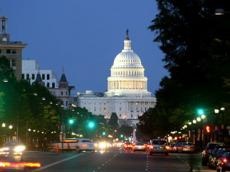 “A Night in Washington with Friends from Baku,” a gala dinner dedicated to the culture of Azerbaijan will be held there today. Hosted by the Azerbaijan America Alliance under the honorary patronage of H.E. Ambassador Elin Suleymanov, the evening will include Azerbaijani music and dance as well as a dinner featuring a traditional Azerbaijani menu. The event will highlight the growing relationship between the United States and Azerbaijan, while celebrating the ancient and rich culture of this key ally in the South Caucasus region, the Alliance reported. The night’s festivities will feature performances by the world acclaimed Natig Rhythm Group, Eurovision 2011 winners Ell and Nikki, the National Dance Ensemble of Azerbaijan and others VIP performers. Prominent speakers will also address the evening and the presentation of awards and scholarships will be presented. The gala will be attended by government officials, academics, business leaders, think tank scholars and members of the news media. The Azerbaijan America Alliance is a non-partisan, non-profit organization, with an educational mission to foster an atmosphere of mutual understanding and respect between the people of Azerbaijan and America. Through academic discussion, cultural programming, and political discourse, the Alliance is dedicated to promoting a lasting partnership between Azerbaijan and America. For more information, please visit the Alliance website at www.azerbaijanamericaalliance.org.